Current: My host isn't listed - will your products work anyway? My host isn't listed - will your products work anyway? 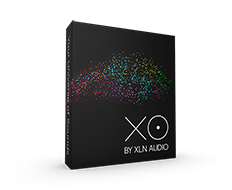 XLN Audio plug-ins follow the various plug-in format standards (VST, AU, AAX) used by most DAWs. Our products work with any host software, or DAW, that also follows those standards. We recommend that you download the demo/trial versions of our products. If the demo/trial work, the full versions will work as well. If your host is not among the officially supported hosts, it doesn't mean it won't work. It means that we do not actively test all versions of our products with the latest versions of that host and we cannot guarantee that our products will fully work in that host. But it most likely will. You'll find the supported host on the bottom of our product pages next to the system requirements. Do not hesitate to contact support in regards to this by using the Contact support form. Please state the name and the version of the DAW you have in mind.